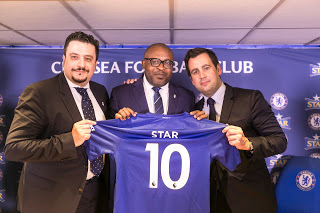 Nigeria’s leading premium beer, Star Lager, has signed a new partnership agreement with top English Premiership club, Chelsea Football Club. 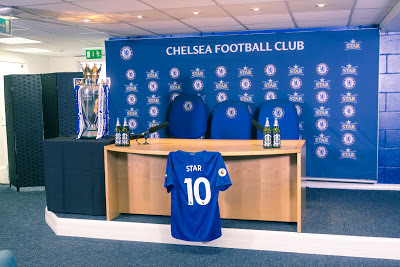 The partnership agreement, which was recently announced at a press conference in London, will see Star Lager Beer become the official beer partner of Chelsea Fc. Coming on the back of similar partnerships with six other European clubs; Arsenal, Manchester City, Juventus, Real Madrid, Paris Saint-Germain in 2016 and Fc Barcelona in 2017, this new partnership will solidify the brands claims to football, as Star Lager will have the special rights to boost the club’s visibility in Nigeria. Nigerian Breweries, maker of Star Lager Beer, is Nigeria’s pioneer and largest brewery. Incorporated in 1946, Nigerian Breweries introduced Star lager beer into the Nigerian market on June 2, 1949 as the first indigenous brewed beer in a market that was dominated exclusively by imported brands. Founded in 1905, Chelsea Fc, is a professional football club based in London, England and the reigning Champions of the English Premier League. The club is also one of the oldest and most valuable football clubs in the world. Chelsea's regular kit colors are royal blue shirts and shorts with white socks. A few notable Nigerians who have played in the club include Nigeria's current national team captain, John Obi Mikel, Nigerian midfielder, Victor Moses, Defender, Kenneth Omeruo, and Forward, Celestine Babayaro.